It’s good to see that the PlayStation 2 is still strong within the world of gaming and it’s even better to see that games are still being created for the younger gamer. With that said, Sony have added another title to the stables entitled Buzz! 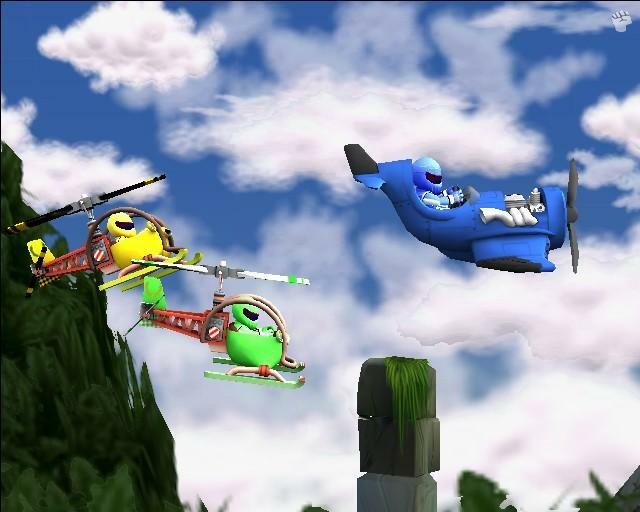 Junior: Ace Racers that is a racing title with a variety of different vehicles and environments for the younger gamer. Developers Cohort Studios have truly added a unique twist to the franchise which unlike previous incarnations is not just about a collection of mini-games. 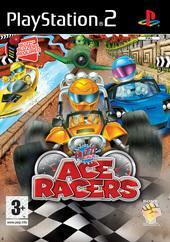 Rather, Ace Racers is a racing game that uses the big red button of the Buzz! controller to accelerate your vehicle. By holding down the button, your vehicle will accelerate, by letting it go, it will slow down. The control system is pure ingenious as players fly, go over jumps and turn controllers which although may seem like child’s play can be a tad difficult at times, even for this old gamer. 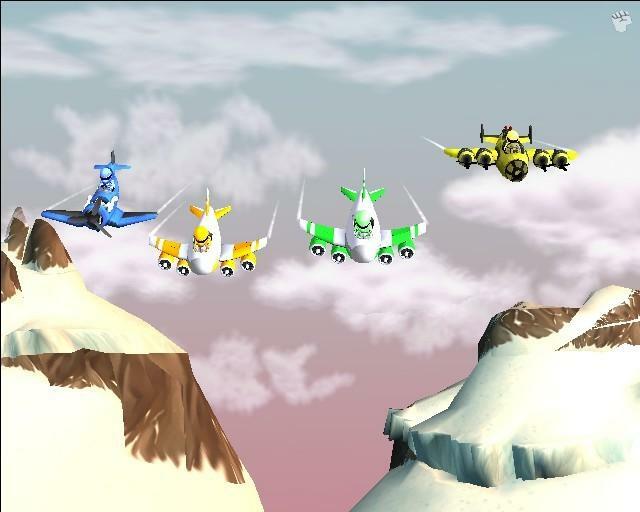 The game offers a variety of different gameplay modes from single races to multiple laps and even some mini-games, although they are not as entertaining as the main title. With up to four players, the game is great as a party game. Graphically, the title albeit simplistic at times features cartoon like images and a great colour palette to assist with the cartoon experience. The backgrounds are quite well detailed and even the vehicles from go carts to helicopters are well animated. Unlike Buzz! 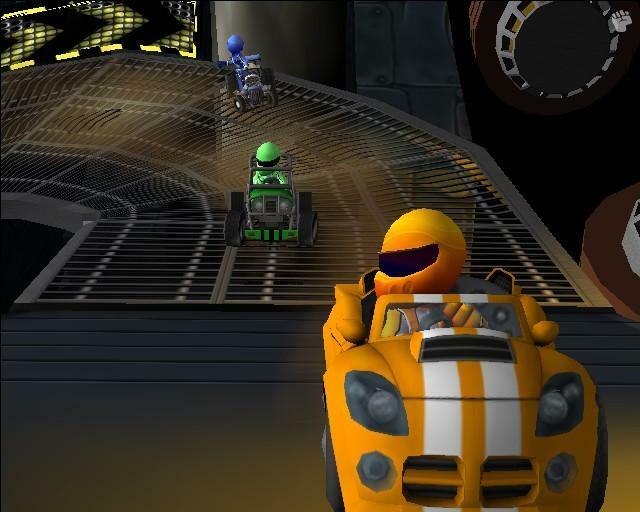 Who hosts the more mature games, Ace Racers features Suzy Sprint and Max Torque for the commentary and although not as amusing as Jason Donovan, it still gives the title an entertaining edge as they commentate and give the player hints. The music of the title suits the genre perfectly and sounds like it has been taken from a Saturday morning cartoon. Match that with a variety of sound effects and this is one good looking and good sounding game.